แก้ไขล่าสุด : 24 เมษายน 2562 16:24:31 น. 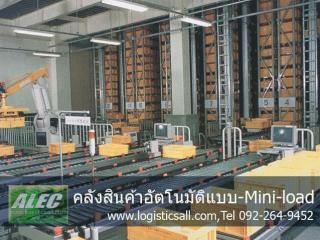 ผู้ลงประกาศ : คุณAll Logistics Engineering Co.,Ltd. Daifuku's heavy-duty aisle-opening pallet racking, Mobile Rack, is suitable for pallet storage simplifying location control and expediting forklift input/output operation. With its smooth dolly movement, user-friendly interface, and several safety devices, Daifuku's Mobile Rack has a great reputation in the material handling industry. 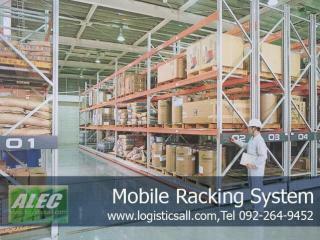 The mobile pallet racking system consists of two fixed racks at either end of the system, with racks on dollies in-between. 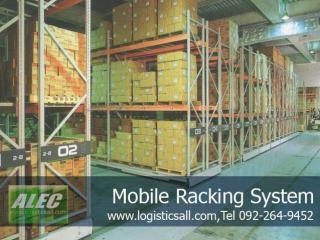 Compared to conventional fixed racks that require aisle space every two rows, the mobile rack needs only 1 aisle space per system since dollies slide to open an aisle where needed. 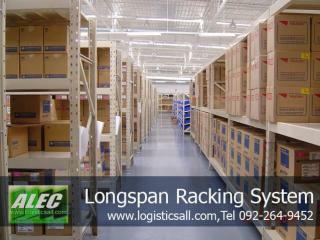 This system reduces the storage rack footprint by 50%. 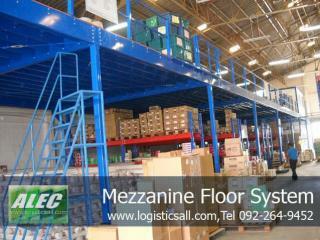 Full width passage mode allows quick forklift access to an aisle. 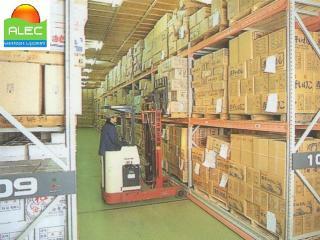 By combining with guide rail and 3-way forklift or order picker forklift, aisle width can be reduced further. 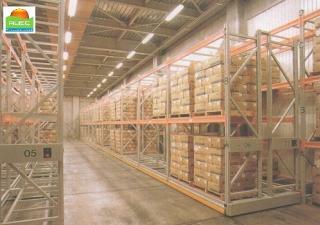 Half-width passage mode allows manual case picking in two aisles at the same time. Equal spacing mode is useful for inventory-taking operation. 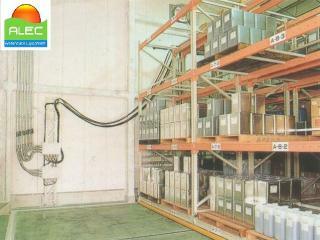 It is also beneficial for air-conditioning efficiency in cold/frozen warehouse as it provides moderate space between stored items and lets chilled air circulate evenly. Standard V-channel rail best fits for installation in a newly built warehouse. It has to be installed during building construction as a part of flooring work. Sheet rail is the most economical solution for installation in a existing building. Rail-less magnetic-guided type is suitable for existing building and rented warehouse where flooring work is restricted. 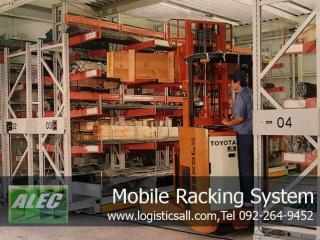 Cantilever rack is convenient for storing long objects. Custom designed rack for coil storage. 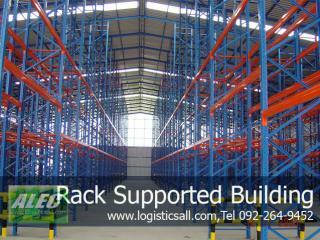 Rack Supported Building Rack Supported Structures provide the highest storage density Optimizes Space utilization while minimizing footprint.